One Republican representative has seen the way angry constituents have berated fellow GOP lawmakers at town halls and decided to take a more bipartisan approach to avoiding the same: He blamed the shooting of a former congresswoman. She was not amused. 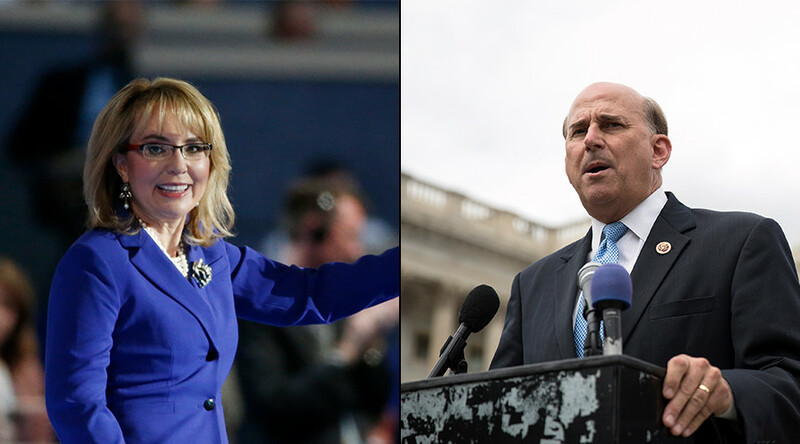 Representative Louie Gohmert (R-Texas) refuses to hold town halls because then-Rep. Gabby Giffords (D-Arizona) was shot during a public appearance in January 2011, he told constituents in a letter. "Unfortunately, at this time there are groups from the more violent strains of the leftist ideology, some even being paid, who are preying on public town halls to wreak havoc and threaten public safety. Threats are nothing new to me and I have gotten my share as a felony judge," Gohmert wrote. "However, the House Sergeant at Arms advised us after former Congresswoman Gabrielle ‘Gabby’ Giffords was shot at a public appearance, that civilian attendees at congressional public events stand the most chance of being harmed or killed—just as happened there," he continued. Instead, the six-term congressman will hold “telephone town hall” meetings until "the threat of violence" decreases. Giffords was holding a "Congress on Your Corner" event near a grocery store in Tucson when gunman Jared Lee Loughner opened fire on her. Six people died, including a federal judge and a 9-year-old child, while Giffords and 18 others were injured. Authorities said that Giffords, who was shot in the head at point-blank range, was the main target of the rampage. Giffords resigned from Congress a year after the shooting to focus on her recovery. She and her husband, former astronaut Mark Kelly, later formed the Americans for Responsible Solutions political action committee to advocate for gun control legislation. The former congresswoman did not appreciate her name being used as an excuse for Gohmert to abdicate responsibility to his constituents. She pointed out meeting with her constituents was “a hallmark of my tenure in Congress,” and added that her office was open to the public again two days after she was shot, while she was still in a medically induced coma. “Ron Barber – at my side that Saturday, who was shot multiple times, then elected to Congress in my stead – held town halls. It’s what the people deserve in a representative,” she said. Giffords also criticized Gohmert and other pro-gun lawmakers for using the assassination attempt against her as another excuse. After she was shot, Gohmert unsuccessfully sought to allow federal lawmakers to carry guns in Washington, DC and on the floor of the House of Representatives. 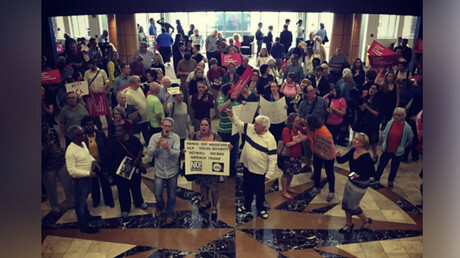 “Many of the members of Congress who are refusing to hold town halls and listen to their constituents concerns are the very same politicians that have opposed commonsense gun violence prevention policies and have allowed the Washington gun lobby to threaten the safety of law enforcement and everyday citizens in our schools, businesses, places of worship, airports, and movie theaters,” she said. Gohmert responded to Giffords’ statement, saying it was put out by “friends around her… on her behalf.” He also criticized her for politicizing the assassination attempt. Gohmert won reelection in November with almost 74 percent of the vote. He said that what he’s hearing from his constituents is consistent with polling in his district.